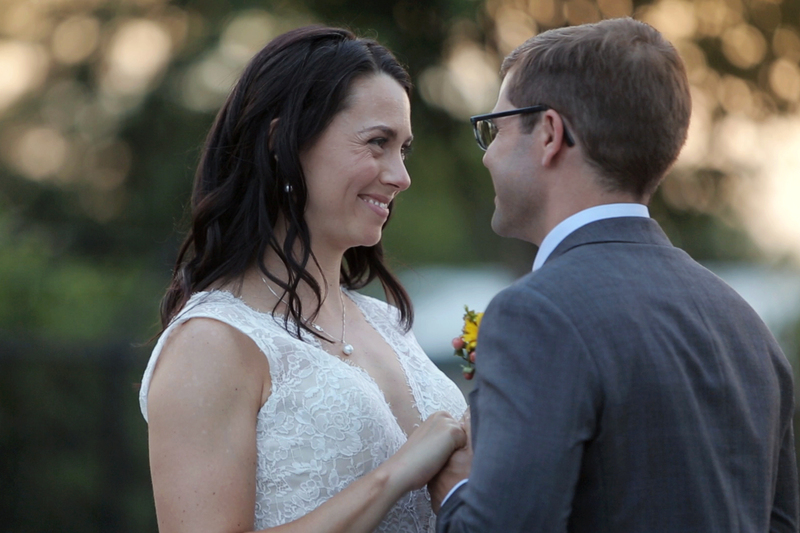 Amber + Brian Wedding Highlight Reel from Tricia Coyne on Vimeo. This couple…man, where do I even begin? Nurse-Patient love story? Overcoming breast cancer? Prevailing city protests? I mean, seriously; their story is unforgettable. Apologize for the long blog post, but their story is just too good. Amber and Brian’s love story is filled with heartache, compassion, tribulation and joy, and as I listened to them, I couldn’t help but think that their relationship was the definition of love and strength. I’ve never cried while conducting a video interview, but then I met these two. How they met was just darn cute; a story straight from a romance novel. Brian, a strength conditioning coach at Mississippi State, visited his doctor’s office after struggling with an ailment following a particularly intense work week. But his usual doctor wasn’t in the office that day. Enter Nurse Practitioner Amber. Brian was moon struck. Funny enough though, Amber was completely unimpressed. “All those guys from the athletic department are jerks,” she confided to a fellow colleague after treating him. She never would’ve guessed that a few days later, she’d be getting a delivery that would make her eat that statement. Gentlemen, take note: Brian enclosed two tickets for the upcoming college baseball game against LSU with a handwritten note saying how much he appreciated her treating him during his last visit. Flattered (and a little stunned), Amber texted him that night with a thank you, and the story of Amber + Brian began. But everyone knows that a beautiful love story never comes without obstacles. In 2015, the couple would go through some of the toughest times anyone could face. In just one year, Amber’s father suffered through a heart attack, Amber was diagnosed with breast cancer, and then her mother was diagnosed soon thereafter. I couldn’t even imagine going through that much back-to-back misfortune. Amber’s toughness through it all struck a deep chord with Brian, and he came up with one of the most poetic proposals I’ve heard of yet. On New Year’s Day of 2016, after pouring mimosas and preparing breakfast, Brian got down on one knee and asked her to marry him. “It was a pretty rough year, so I wanted to start 2016 off right; on something good,” Brian explained. Their choice to have their wedding in Charlotte was a little out of left field. The only connection was Brian’s sister, who lives just north of the city. After making a few short visits, they fell in love with everything Charlotte had to offer. The weather, the skyline, the welcoming atmosphere, and the wide variety of venues to choose from all contributed to their decision in making Charlotte their wedding destination. Fast forward to three days before their wedding. Amber and Brian are driving from Starkville, MS, in route to downtown Charlotte Wednesday morning. But what would unfold in the next 24 hours would have them fearing for their safety. Back story: Keith Lamont Scott, a 43-year-old black man, was fatally shot by police in Charlotte on Tuesday, Sept. 20, sparking both peaceful protests and violent riots throughout the city. Unfortunately for Brian and Amber, the majority of the violent protesting was taking place right outside their hotel in downtown Charlotte. From their hotel bedroom, they witnessed a bystander get fatally the night of their arrival. Events had gotten scary, and the idea of having their entire out-of-town guest list staying downtown was too much. The timing was just terrible for these two. Good friend and wedding coordinator Jackie Fogartie would have her work cut out for her relocating the rehearsal dinner, all the guests hotel rooms to South Park and pushing the entire wedding schedule up by more than six hours to avoid a late night wedding reception. Ladies and gentlemen, if there’s ever a story of how a coordinator can save your wedding weekend, let this be the one. 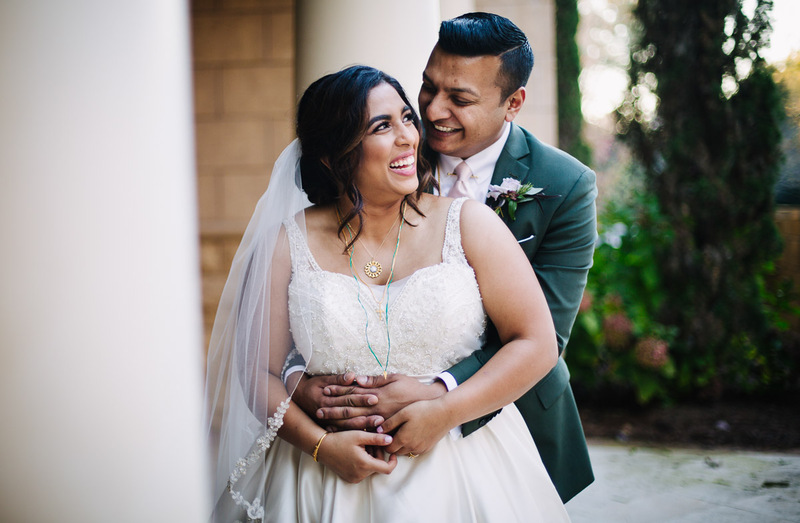 Jackie did a great job coordinating with both families to resolve issues, readjust timelines, reschedule all vendors and create a practically seamless wedding day. Serious fist bump, girlfriend.